And it's main target: the BMW X6 M.
There was no way Land Rover was never not going to do a Ranger Velar SVR. An SUV that looks as striking as the Velar not given the high-performance treatment? Please. 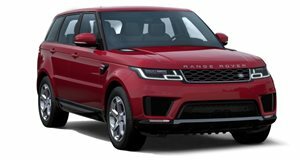 has learned Land Rover engineers are currently putting on the finishing touches, and, assuming all goes as planned, we could see the hot SUV debut at either Geneva or New York this spring. Sources claim it’ll be on sale next October in the UK, so that springtime reveal makes total sense. As for what’ll be under its hood, there was only ever one option: the supercharged 5.0-liter V8. This time around it’s expected to produce somewhere in the neighborhood of 540 hp and 500 lb-ft of torque. Expect a 0-62 mph time of around 4.2 seconds. Because of the added weight of the engine, engineers were tasked with shaving off some poundage, which isn’t exactly easy to do on an SUV. Overall curb weight is down, but we won’t know by how much exactly until the debut. A number of chassis and suspension upgrades were also part of the agenda, and Velar SVR test mules have been previously spotted making some noise at the Nurburgring. Also because of the added power, engineers developed a more aggressive driving mode designed and coded specifically for high speed. The interior will undoubtedly be a work of art, as it is in the standard Velar. Like with all other SVR models, upgrades will likely include plenty of unique badging, trim bits (such as more aluminum, etc.) and other improvements. Pricing? 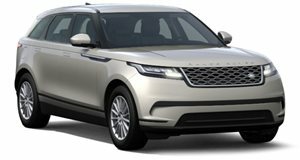 It’ll certainly cost more than the highest trim Velar right now, but it won’t infringe too far into Range Rover Sport territory. In any case, the , and the high-performance SVR version will definitely find plenty of buyers as well. 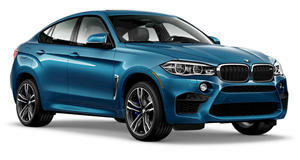 After all, it has tons of BMW X6 Ms to chase after.